Roses have always been and will be the flower that conquers the hearts of all people on the planet. This special, incomparable flower, is valued more than the rest not only for its appearance, but also for its special qualities. 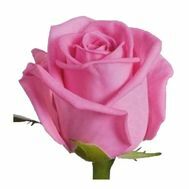 Beautiful roses decorate any holiday, starting from Birthday and ending with absolutely business meetings and negotiations. Their age-old history concerns ancient antiquity, when they went to battle with them and with the help of them received the love of beautiful ladies. 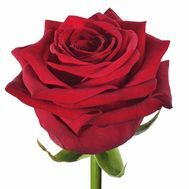 They can say more than hundreds of thousands of words, and therefore buy roses with delivery costs to everyone. The best option for any holiday and occasion are roses per piece. The price for such flowers is lower than for the whole composition. That is why at any time of the year we can buy flowers inexpensively at the best quality. 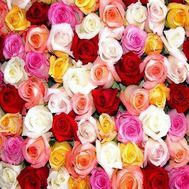 To buy roses individually is easy and simple. It is enough just to choose their color range, and choose the number of flowers. 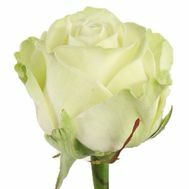 Often it becomes a necessity when the number of roses declared in the finished bouquet is too large. Therefore, we give each client the opportunity to choose the future gift, which will cost him less than a bouquet. You can choose the number of roses you need individually. 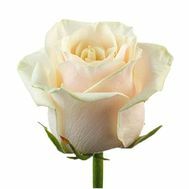 Roses, which can be purchased apiece, are ordered specifically for each bouquet, which guarantees their freshness and beautiful appearance. Such a gift will suit every person. You can hand in your own created bouquet both to your colleague on a professional holiday, and to your beloved mother for Mother's Day. 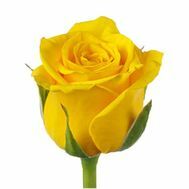 In addition, it is very convenient to order on our website: you only need to choose the number of roses - and you will immediately see the cost of the final bouquet..
Our service is engaged in delivery to any city in Ukraine, even in the smallest town. The courier will bring the bouquet to the specified address, or, if unknown to the customer, it is enough to leave the phone number - and he will find out for himself, preserving the intrigue. On our website you can see the photos of the recipients who have already received their flowers with delivery from our company.